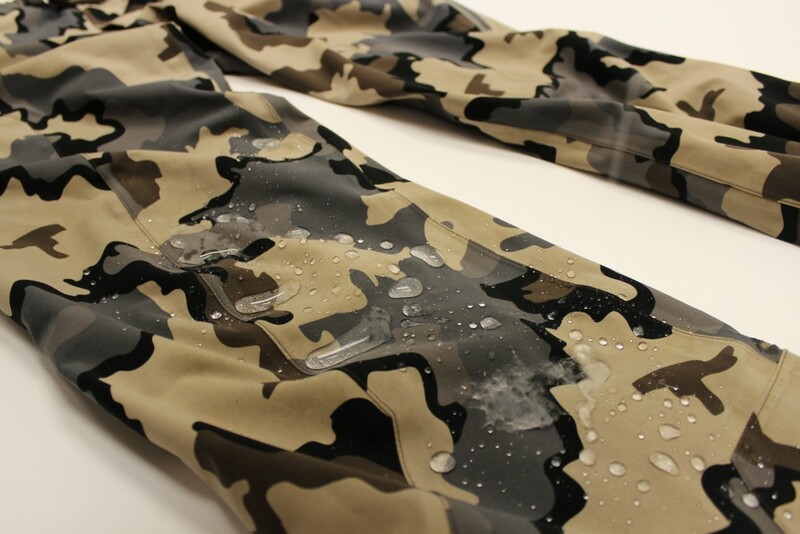 Waterproof-breathable garments are the most complex, expensive, and often important pieces to our layering system. They are relied on heavily as the first line of defense when the weather turns bad, and performance or lack thereof can make or break a hunt. Quality rain gear isn’t something that needs to be babied, but there are steps that can and should be taken to ensure the highest performance is achieved on each outing. Furthermore, proper care for these garments goes a long way in promoting their longevity. Before jumping into preventative measures, we first need to understand how and where rain gear performance drops off due to neglected care. 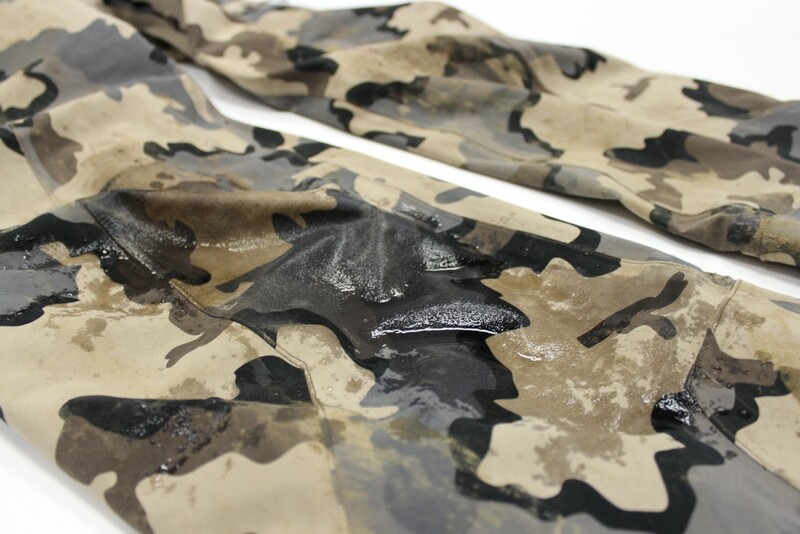 The photos corresponding with each category below are of an original 2011 Chugach Pant that was worn heavily for six years, and only washed a couple of times with normal laundry detergent. 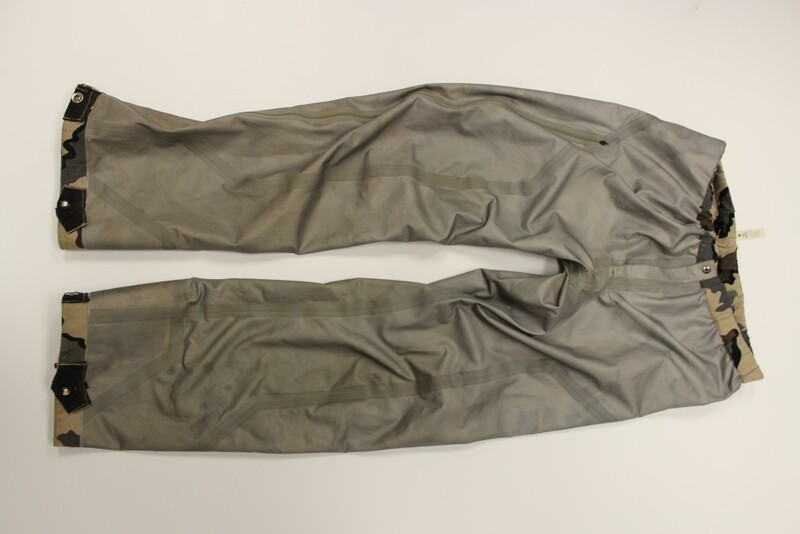 Although the performance of these pants had deteriorated over time, you will see with proper maintenance, you are able to bring them back to life. While it’s possible to rejuvenate neglected raingear, routine care is a much better course of action. DWR treatment should be reapplied about once per season for frequently used items. It’s pretty easy to tell when the DWR has worn off, as it has a very visible effect on performance (see photo above). 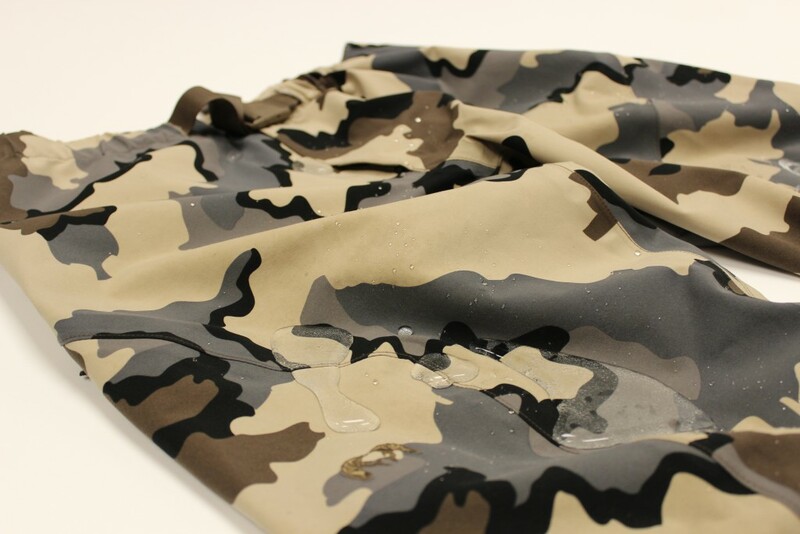 While it’s normal for some moisture to wick into the face fabric during prolonged exposure to water and friction or abrasion, the majority of water should roll off. When this stops happening, you know the DWR has lost some of its potency. Fortunately, DWR rejuvenation is relatively cheap and easy. Simply machine wash the garment with a tech-specific detergent like Grangers Clothing Repel, a wash-in DWR, or spray on application with Grangers Performance Repel. We use and sell Grangers product care items as the go-to DWR for our raingear. 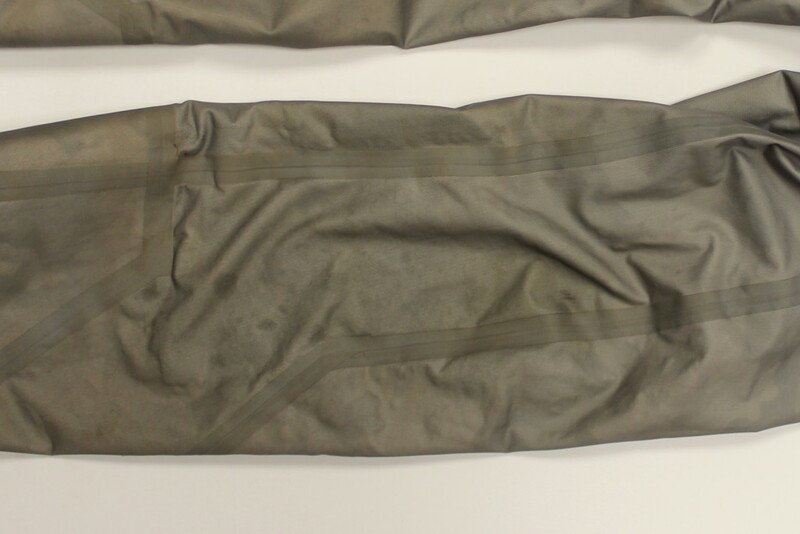 Below is our sample pant after undergoing treatment. The difference is night and day. Notice the location on the pant is the same as the photo above. The breathability of a storm shell is one of the key factors that differentiates “top of the line” garments from “the rest”. Unfortunately, it’s also one of the first things to diminish as a garment gets used and abused. In addition to the negative effects of a wetted out face fabric explained above, sweat, skin cells, dirt, and oils from the body clog the backer and the membrane from the inside out. Likewise, on the exterior face fabric, the buildup of soil and grime acquired over the course of a few hunts has a real effect on ventilation at the microscopic level. Breathability is maintained by routine washings with a technical detergent. Grangers Clothing Wash and Repel is designed to cleanse the pores on the inside and outside of waterproof-breathable fabrics, without leaving behind invisible breathability inhibiting residue like a regular mainstream clothing detergent will. While it’s not as powerful as a full-on DWR reapplication wash, it will also help prolong the water repellency on the face fabric. 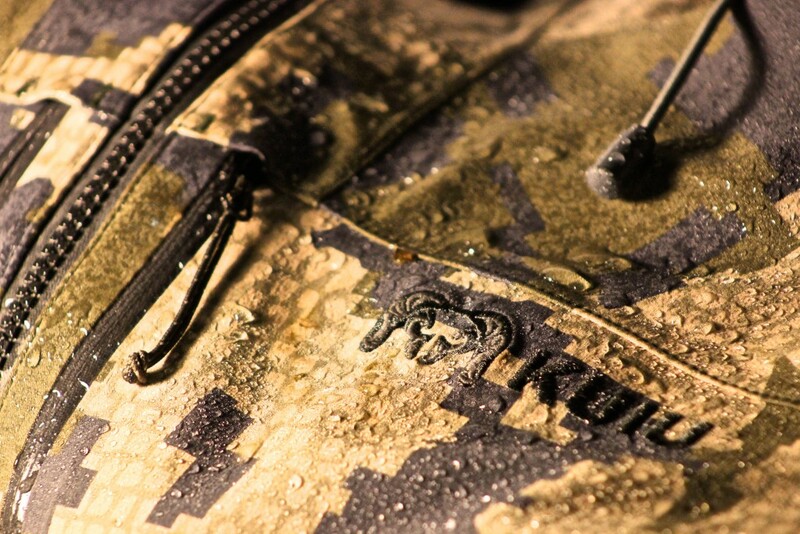 Rain gear should be properly washed after every couple long, hard-use hunts. 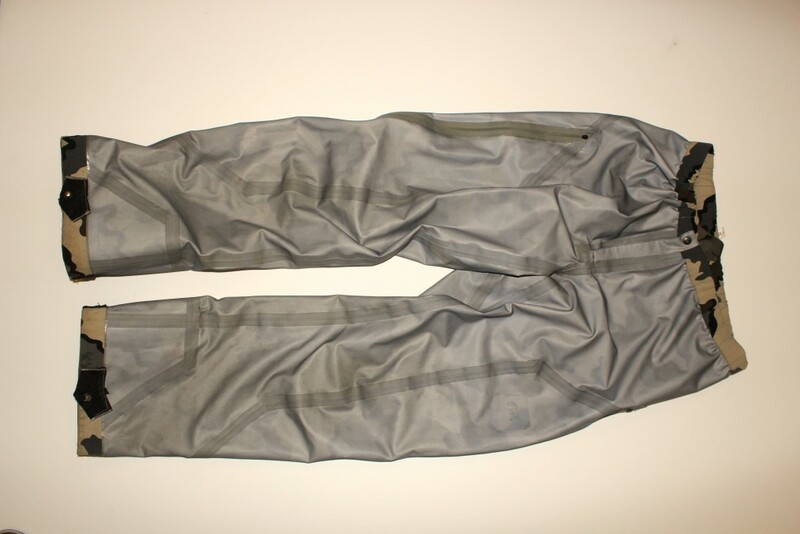 In the production of waterproof breathable fabrics, multiple layers of thin and fragile material are carefully bonded together using light layers of specialized adhesives. Once a garment has been sewn, all seams are taped for waterproofness through a process that requires even more heat-sensitive glue. Over time, bacteria buildup from body oils and dirt can eat away at these chemical adhesives that play an important role in the performance of rain gear. Note: Not all seam tapes are created equal. 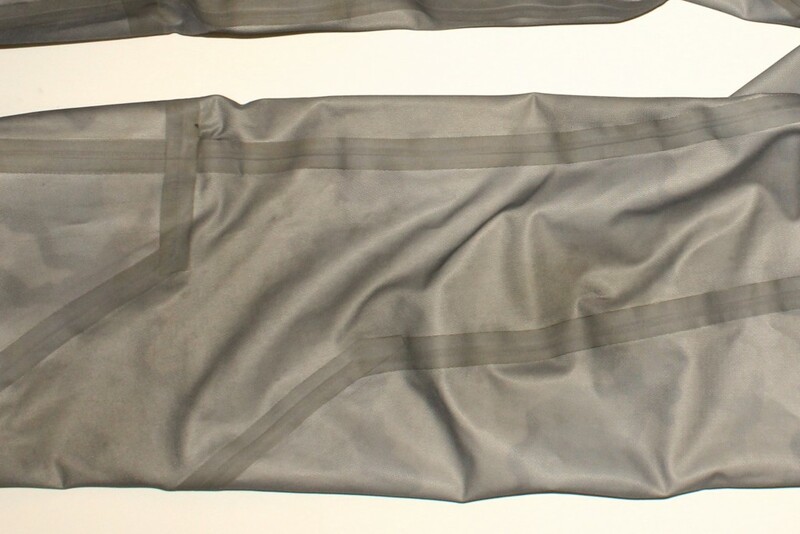 Obvious quality differences in seam tape can be seen throughout the industry upon visual inspection of the inside of different rain gear garments. The seam tape and laminated layers have held up well to the abuse in our sample pant, which likely wouldn’t be the case with cheaper components. 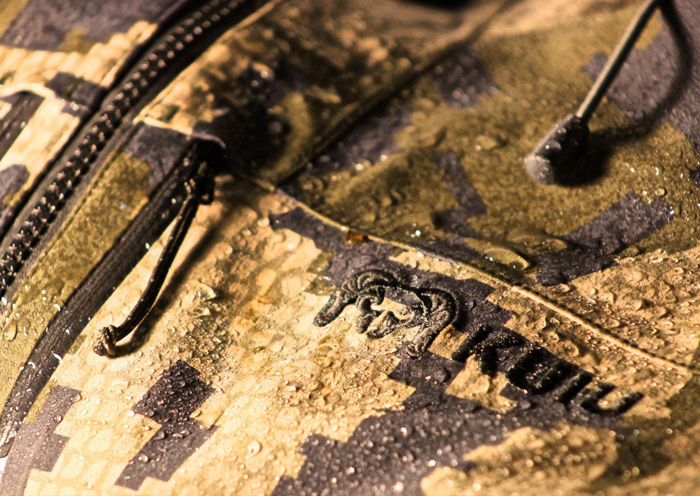 KUIU rain gear uses Toray seam tape, a brand known for making the highest quality seam tape available. Seam tapes of lower quality are typically thin and transparent- sometimes so thin that the stitching can be seen rising up through the tape itself. If the stitching becomes fully exposed due to wear-through on the thin tape, steps must be taken to re-seal. Gear-Aid Seam Grip is a good product in this situation. Thanks for this! Knowing the details of why my Kuiu garments are worth the price is both interesting and helpful. I get asked a lot why I pay so much for Kuiu gear. I just say, “quality”, now I have a better story and go into detail, perhaps even demonstrating the seam tape and other features. This kind of blog post makes your customers better salepeople. As Kuiu appeals to a broader audience with solids and women’s sizing, having us as informed sales people helps Kuiu. I am often asked about solids from non hunters who seek quality gear after hearing about mine (I wear my camo gear anytime), and I enjoy popping up the mobile app and showing the solids. Its a great story and a great company. Keep posting these informative stories.